I’m so excited! 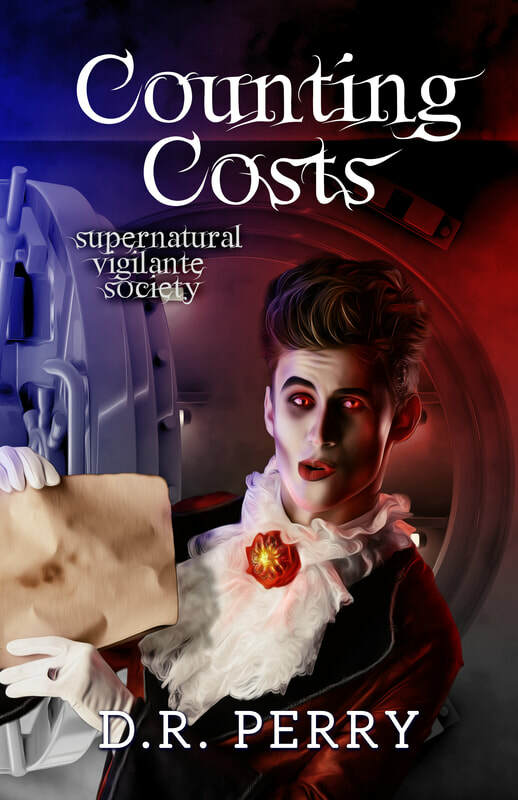 Book three in the Supernatural Vigilante Society is uploading today. When it’s available on Amazon, I’ll post on Facebook and to my mailing list. It’s called Counting Costs. Have a look at the cover and description below. There’s no fortune in favors owed. After saving a king but losing a kingdom, Tino’s up to his fangs in debt. But he doesn’t owe money. A vampire’s word is his bond. When a rival, a witch, and a hunter all call in their markers at the same time, Tino’s suddenly got a metric ton promises to keep. To keep his vows, Providence’s newest vampire must find missing memories, adopt an orphan, and cure a comatose fiance. Sounds easy, right? Wrong. The Mafia’s standing in his way at every turn. And the holes in his own recall are a total roadblock. Meeting obligations is impossible if they’re forgotten. Can Tino pay his debts without cashing in his unlife?